Made of 600D polyester, this lightweight rolling luggage is small enough to be a carry on and large enough to carry all your travel items. A U-shaped zipper pocket on the front for quick access and a main compartment for larger items and essentials. A locking pull up handle, detachable shoulder strap and dual handles. 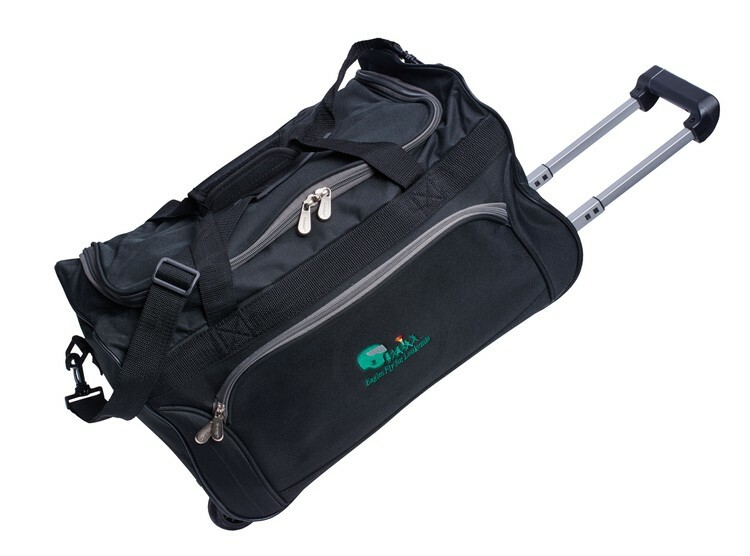 On the back, there is a webbing strap to secure over a luggage handle making this the ideal duffel for the frequent flyer.